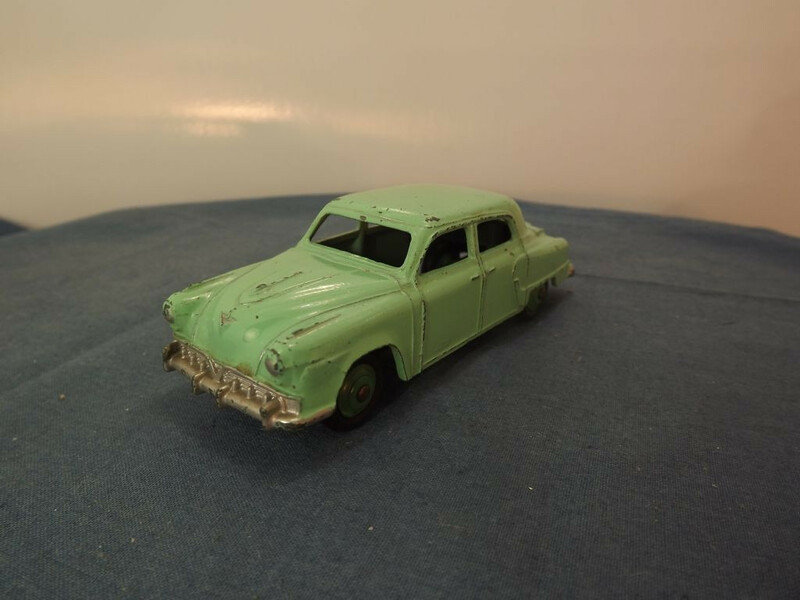 This model is the Dinky 172-G-1 Studebaker Landcruiser in Light Green with mid green hubs. All detail is cast into the body. 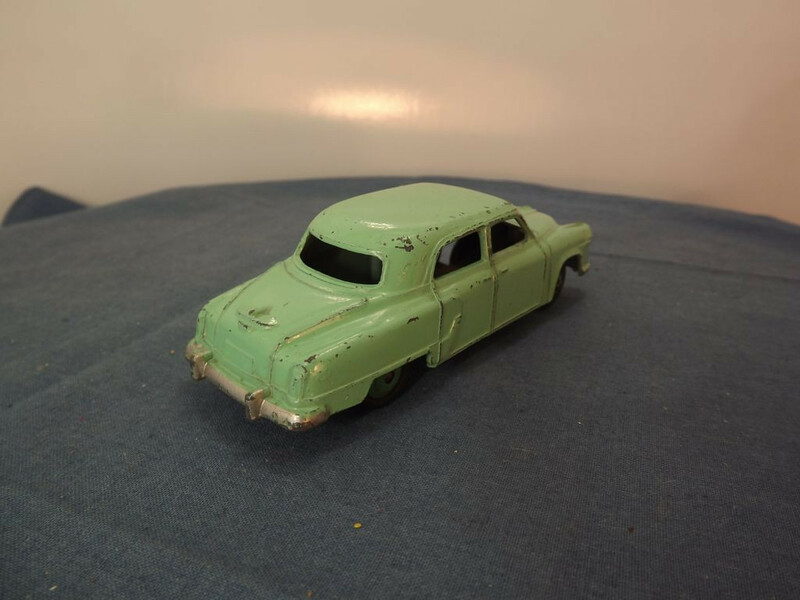 Detail cast includes the front bumper, grille and lights, the doors, the rear side "flashes", and the rear lights, boot handle and bumper. The bumpers, front lights and grille are painted silver, the rear boot handle and the rear lights are in the body colour of light green. 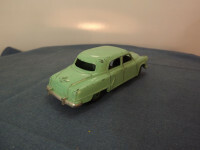 There is no interior as this model was issued before Dinky started including interiors. There is also no glazing. 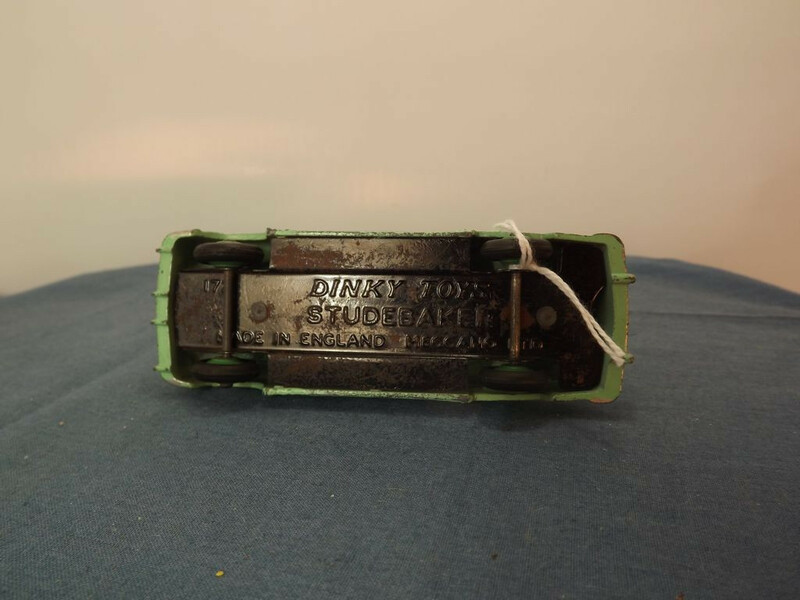 The baseplate is black painted tin plate, in the centre of which is "Dinky Toys", followed by "Studebaker", then "Made in England" and "Meccano Ltd". 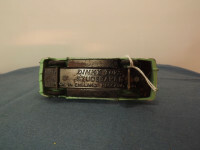 At the front, at a right angle to the front bumper and just in front of the front axle, is the Dinky model number "172". It is held in place by two machined rivets, front and rear. All wheels are of the cast metal type - solid one piece metal hubs, with a separate black "rubber" tyre. 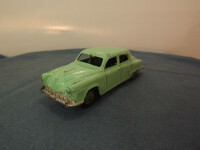 This model was issued between 1954 and 1959.